Friendly Organic Cleaner strollers and car seats 650 ml. Friendly Organic Preparation for hand washing baby bottles and 739 ml containers. Friendly Organic Preparation for washing fruits and vegetables 650 ml. Friendly Organic Detergent for washing dishes with orange oil 500ml. Friendly Organic Hand wash for baby bottles and dishes 300 ml. Friendly Organic Dishwasher gel 750 ml. 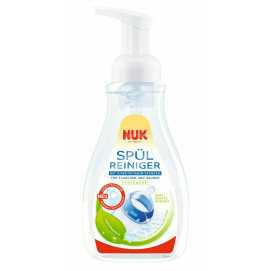 Friendly Organic Universal cleanser for toys and accessories 500ml. Friendly Organic Detergent for washing dishes with orange oil 1000ml. Friendly Organic Hand wash for baby bottles and dishes 100 ml. Friendly Organic Universal cleanser for toys and accessories 100ml. Friendly Organic Universal cleaner toys and accessories 650ml.